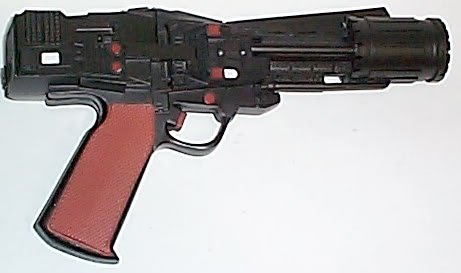 Assembled and Finished replica of the Classic Battlestar Laser pistol. This prop is made of solid resin and has no moving parts. Prop is fully assembled and painted. Approved by the Blackstar Squadron--the Premiere Authority on Classic BSG Uniforms and Props. This item is usually takes about 4 to 8 weeks to be made, finished, painted and shipped. International orders take longer do to shipping times being longer.